In the series of Dera Sacha Sauda’s Humanitarian Welfare programs which are running continuously, more and more activities keep on adding which not influence others but also people get inspired to follow and cooperate in each possible manner. The target is to counter the depreciation of flora and save the nature from global warming. Latest live example is Tree Plantation Drive which was organized by the Lake Claremont & South Coast Care. 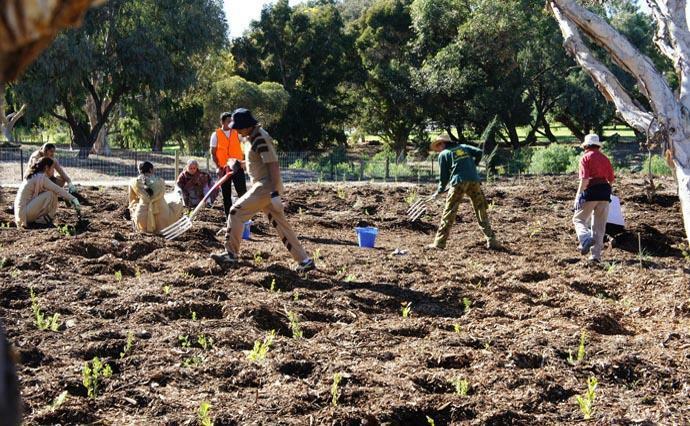 It was an iconic opportunity for the Dera Sacha Sauda disciples in Perth to plant the saplings. The task was completed by the Holy Grace of the Revered Saint Gurmeet Ram Rahim Singh Ji Insan. Around 30-35 Volunteers proactively played their major role with the spirit of high enthusiasm on the specific day to plant around 5200 saplings with the local community. Dera members were welcomed by the great energetic volunteers & Coordinator of Lake Claremont Heidi Hardisty (Australian Pride award winner) and the local member of council Bruce Hayens who showed great respect for Shah Satnam Singh Ji Green ‘S’ Welfare Force Wing volunteers, in his words. Mr. Hayens thanked His Excellence (Saint Gurmeet Ram Rahim Singh Ji Insan) for inspiring volunteers to engaging into humanitarian tasks from last two years. Shah Satnam Singh Ji Green ‘S’ Welfare Force Wing volunteers thanked to the Lake Claremont volunteers and officials and plantation organisers for inviting them to participate and take out the weed and plant saplings. The plantation drive was started around 9 O’clock after Mr. Hayens distributed green cap among the volunteers. Shah Satnam Singh Ji Green ‘S’ Welfare Force Wing volunteers planted 5200 saplings by 1 O’clock which includes half an hour tea break. At the end, the food (Langar) was served to one and all by Shah Satnam Singh Ji Green ‘S’ Welfare Force Wing volunteers to everyone for the plantation and a group photo was also taken by a volunteer after lunch. 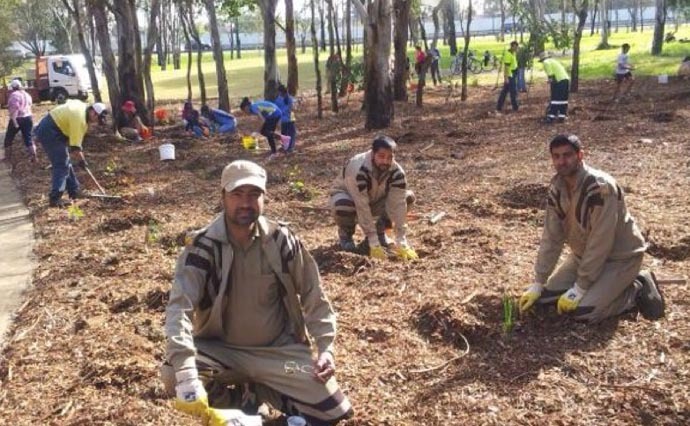 It is worth mentioning that such kind of Tree Plantation drives have already been conducted by Dera followers in Australia (Perth) on April 5th, 2014 and May 17th, 2014 also. 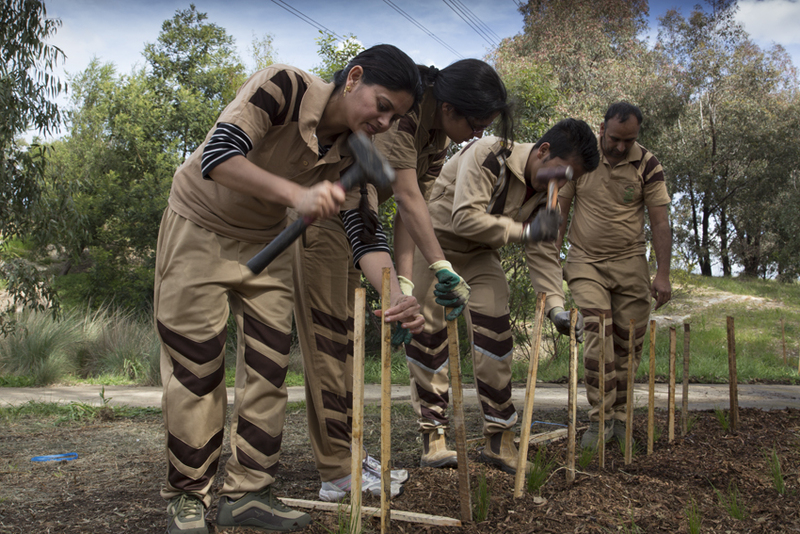 Dera Sacha Sauda followers and members of Shah Satnam Ji Green ‘S’ Welfare Force Wing organized a Tree Plantation Drive at Jamberoo, New South Wales in Sydney (Australia) on May 4, 2014. The plantation ceremony started at 10:00 am in pursuance of effort for greener tomorrow and it was successfully concluded at 12:00 am. A total of 780 saplings were planted by 35 volunteers. They materialized the venture of tree plantation with the objective of conveying the message of spreading greenery around and thereby reducing the effects of global warming. Every one of them showed great enthusiasm in planting trees which they know will prevent soil erosion and provide a green cover. Abiding by the holy teachings of Revered Saint Gurmeet Ram Rahim Singh ji Insan, the volunteers not only planted the saplings but also ensured that they would take proper care of them to develop into grown up trees. The initiative emphasized the importance of keeping the surroundings green and raised awareness in the community about environmental issues. Everyone who observed the event appreciated the volunteers for their zealous efforts for this noble cause and paid gratitude towards Revered Guru Ji for initiating this humanitarian effort and infusing such an exquisite spirit in the hearts of volunteers towards social welfare. Noteworthy, Dera Sacha Sauda carries out 102 humanitarian activities all over the world through its welfare force named as Shah Satnam Ji Green ‘S’ Welfare Force Wing which is well-acclaimed for social reformations across the globe. The organization has planted more than 21 millions saplings around the globe since 2009. With the Holy inspiration & grace of the Most Revered Guru Ji (Spiritual Teacher), Saint Gurmeet Ram Rahim Singh Ji Insan, the members of Shah Satnam Ji Green ‘S’ Welfare Force Wing, have been constantly giving hand to plant more & more trees so that the global warming can be minimized. 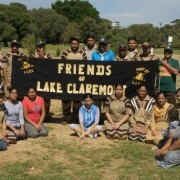 Under the Nature Campaign activity initiated by Revered Spiritual Master, volunteers of Shah Satnam Ji Green ‘S’ Welfare Force Wing, Perth (Australia) participated in Bush Land Rehabilitation Campaign program led by Friends of Lake Claremont (Non Profitable wetland caring Group) on July 14, 2013 & July 28, 2013 (Australian National Tree Day). 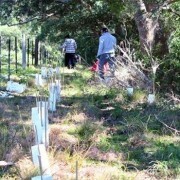 During the drive 6000 & 3975 Saplings were planted by 25 Volunteers each day at Lake Claremont (Wetland & Fresh Water Lake) in Mount Claremont, Western Australia along with the local residents. The local citizens & media personnel who attended the event interviewed welfare members to get story for their local newspapers. When heard about the 100 humanitarian works being executed under holy Command of Revered Saint Gurmeet Ram Rahim Singh Ji Insan, they stood open-eyed & appreciated the incredible spirit & enthusiasm of volunteers to work for selfless humanitarian causes. All the local participants & attendees paid tons of thanks to the members of Shah Satnam Ji Green ‘S’ Welfare Force Wing, for serving them with the palatable food (Langar). With the holy inspiration of our most adorable Guru Ji, Saint Gurmeet Ram Rahim Singh Ji Insan, the volunteers of Shah Satnam Ji Green ‘S’ Welfare Force are consistently working for the welfare of human beings across the globe. 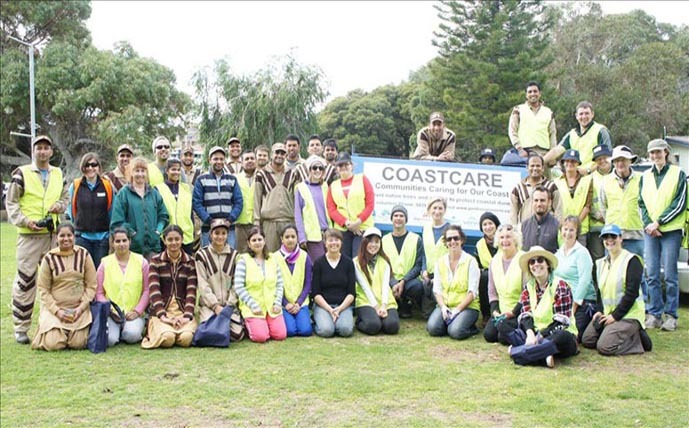 Under the series of 96 welfare activities initiated by Revered Guru Ji, the Shah Satnam Ji Green ‘S’ Welfare Force Wing of Adelaide (Australia) organized a Tree Plantation drive on June 02, 2013. During this drive, 1200 saplings were planted by 10 volunteers within 4 hours making it a milestone for others. The event aimed to save Earth by planting more tress which will in turn reduce the increasing Global Warming. The citizens who were witnessing it stood open-eyed and appreciated the incredible spirit and enthusiasm of volunteers to work for a humanitarian cause. It is worth mentioning that the volunteers of Australia always lead in carrying the 96 welfare activities forward. They organize blood donation camps regularly for which they have been acknowledged many times by the authorities there. 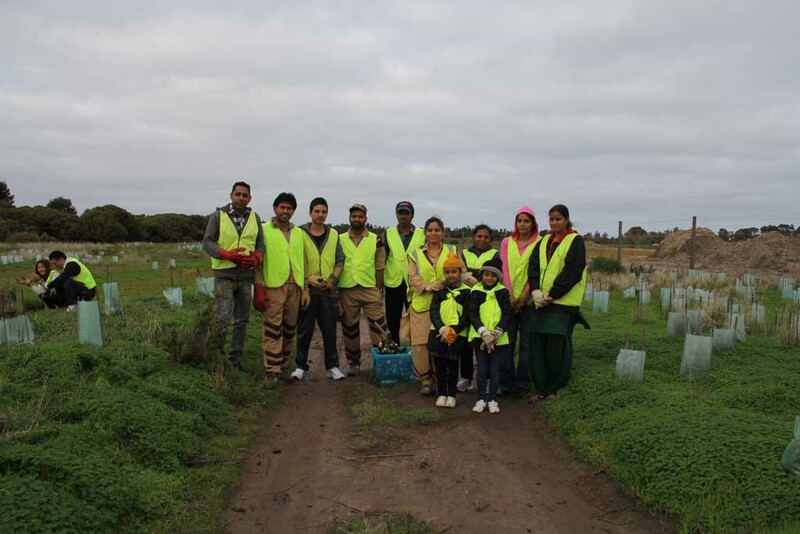 Subsequent to the regular efforts of Dera Sacha Sauda followers to provide a green cover across the globe, volunteers residing in Melbourne, Australia executed 2 Tree Plantation Drives within a single day on 15-Sep-13. With hearts full of zeal, members of Shah Satnam Ji Green ‘S’ Welfare Force Wing dressed up in their uniform and other Dera volunteers reached Hume City Council, Sunbury at 10 AM and planted 1200 saplings till 12.30 PM. 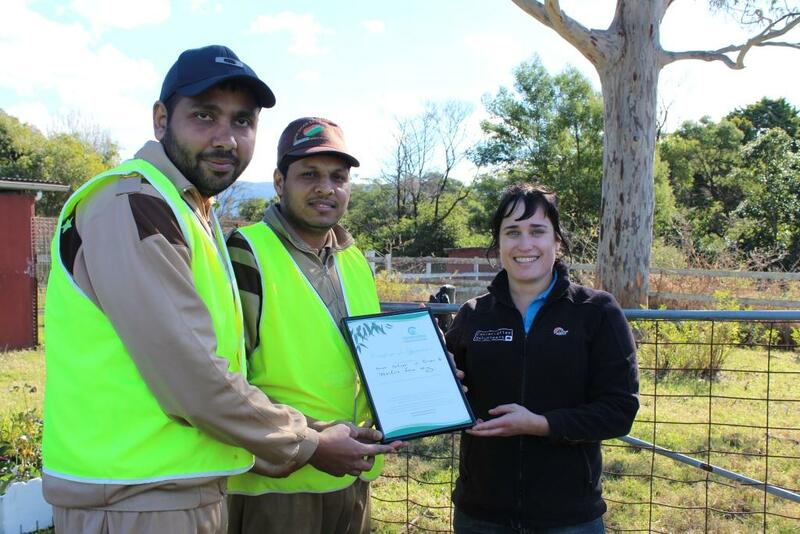 Malisa from Hume City Council appreciated the association of Shah Satnam Ji Green ‘S’ Welfare members with the council and their zealous efforts to provide help in tree plantation for environmental up gradation. Later at 1.00 PM all the volunteers and members reached at Moreland City Council, Coburg North and carried out the tree plantation drive till 3.00 PM. A total of 800 saplings were planted here. The council authorities acknowledged the incredible efforts of all the Dera volunteers and members of Shah Satnam Ji Green ‘S’ Welfare Force Wing paid thanks to them and Revered Guru Ji Saint Gurmeet Ram Rahim Singh Ji Insan. The whole inspiration behind the dedication of Dera Sacha Sauda followers towards this noble effort is Revered Guru Ji Saint Gurmeet Ram Rahim Singh Ji Insan. Revered Guru Ji initiated this welfare activity on 15-Aug-2009 when lakhs of volunteers adhering to HIS single call planted more than 9 lakh saplings across the nation which evidently got enlisted in Guinness Book of World record too. The welfare activity has been named as “Nature Campaign” by Revered Guru Ji and the primary factor for initiating it is conservation of planet earth by planting as many trees as possible to counter with the decreasing flora and environmental degradation. The volunteers of Dera Sacha Sauda led Shah Satnam Ji Green ‘S’ Welfare Force Wing organized a tree plantation drive on Sunday, 28-Jul-13 in Sydney following the teachings of Revered Saint Gurmeet Ram Rahim Singh Ji Insan. It’s worth noting, His Holiness has initiated 96 humanitarian activities for the protection of earth & living beings and volunteers residing in Australia actively took part in all these activities. The tree plantation drive aimed at ensuring & spreading the message that there must be a green cover all around the globe which would bring down pollution levels. The highlights of the drive were amazing as a total of 3900 saplings were planted at four different sites of New South Wales with Blacktown City Council and Conservation Volunteers, Australia on Sunday at the occasion of Australian National Tree Day. 900 saplings were planted at Sherwood Park reserve, Hambledon St., Quakers Hill, NSW; 1000 at Timbertop reserve, Norman Street, Prospect, NSW; 1000 at Endeavour Park, James Cook Drive, Kings Langley, NSW and 1000 at Plough and Harrow reserve, Elizabeth drive, Abbotsbury, NSW. The drive was highly appreciated by the spectators and Blacktown council representatives saying that the zealous efforts of Dera Sacha Sauda Volunteers towards saving earth are a learning experience for one and all. With the holy inspiration of Most adorable Guru Ji Saint Gurmeet Ram Rahim Singh Ji Insan, the volunteers of Shah Satnam Ji Green ‘S’ Welfare Force Wing are consistently working for the welfare of human beings across the globe. 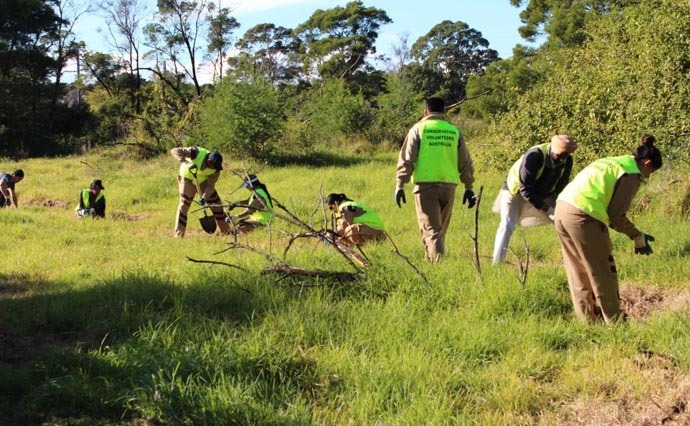 Following 96 humanitarian works initiated by Revered Guru Ji, Sadh Sangat PERTH & Members of Shah Satnam Ji Green ‘S’ Welfare Force Wing of Perth (Australia) participated in a Tree Plantation drive on June 22, 2013 & June 23, 2013 under the one named as NATURE CAMPAIGN. 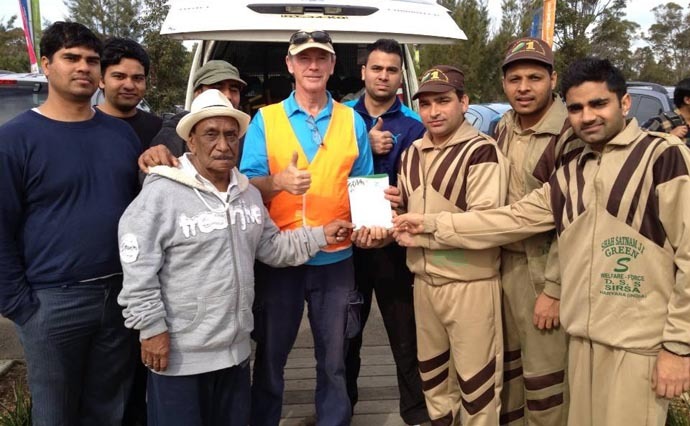 During this drive, 1500 & 4500 saplings were planted by 25 volunteers within 4 hours each day at COOGEE BEACH & LAKE of CLAREMONT putting another milestone in the welfare works book of Shah Satnam Ji Green ‘S’ Welfare Force Wing-Perth. The event aimed to save Earth by planting more tress which will in turn reduce the increasing Global Warming. The citizens who were witnessing it stood open-eyed and appreciated the incredible spirit and enthusiasm of volunteers to work for a humanitarian cause. Sadh Sangat took the responsibility to cook & serve food to everyone who attended these events. With the holy grace of Revered Saint Gurmeet Ram Rahim Singh Ji Insan, 24 members of Shah Satnam Ji Green ‘S’ Welfare Force Wing, and 12 local residents of Perth (Australia) planted 3300 saplings on June 10, 2012 in Belmont City at Garvey Park, Redcliffe in association with the Council. On seeing the devotion and passion amongst the followers, Council officers contacted the volunteers and asked that they were planning to conduct an unscheduled tree plantation drive. Would they people accompany in that drive scheduled to be organized on June 18, 2012. 13 members of Shah Satnam Ji Green ‘S’ Welfare Force Wing reached at the specified venue and planted 2000 saplings in approximately 2.5 hours. After tree plantation, they conducted Naam Charcha (a spiritual programme where hymns are being sung) and extended heartfelt thanks to His Holiness Guruji. Noteworthy, last year Australia stood first in tree plantation and charity for the welfare works. All over the world, they got second position followed by Haryana by planting 40233 plants. To conserve the earth from pollution, Dera Sacha Sauda, under the holy guidance of Revered Saint Gurmeet Ram Rahim Singh Ji Insan initiated a welfare activity named as “Nature Campaign” aiming at plantation of as much trees as we can all around the world. The volunteers of Dera Sacha Sauda across the globe have joined hands together to execute this campaign at each and every corner of the world. 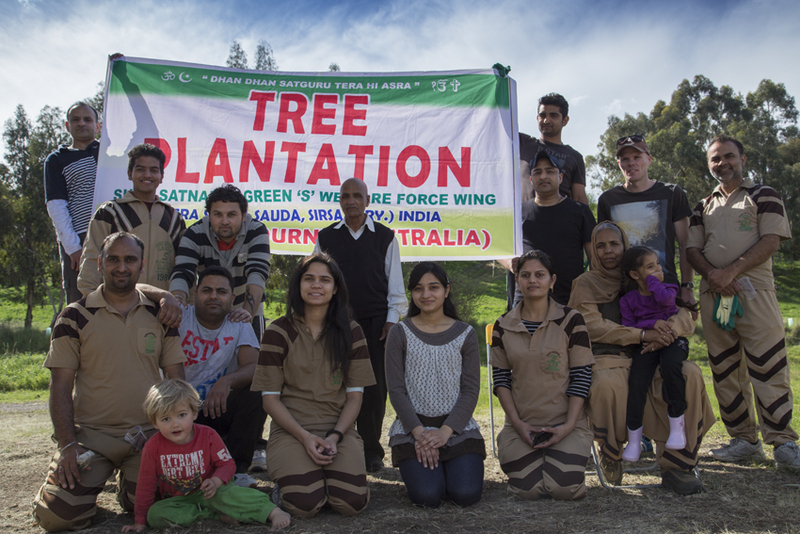 In the same series, Dera Sacha Sauda volunteers of New South Wales, Australia organized a plantation drive in Dapto (Near Wollongong) wherein 707 saplings were planted in a day. Every volunteer was seen very excited for the drive and the whole drive was carried forward with high zeal.